If you’ve been injured at work and are considering filing a workers’ compensation claim to receive compensation, you might be wondering whether you can go it alone without a lawyer. Although it’s possible to represent yourself in a worker’s comp case, you can usually gain more monetary compensation and maximize your chances of winning the case by enlisting the help of an experienced attorney who specializes in these matters. More specifically, here’s a review of the most common scenarios in which you should definitely have a workers’ comp lawyer. If your injuries are moderate to severe and your doctor believes you won’t fully recover, you may want to speak with a workers comp lawyer in your state about the possibility of obtaining “permanent partial disability” benefits. If your injury is so severe that it requires surgical treatment, you stand a good chance of winning your case. Any seriously debilitating injury case should not be taken to court independently, as leveraging the expertise of a reputable lawyer will give you the best chance of gaining the highest possible compensation amounts. 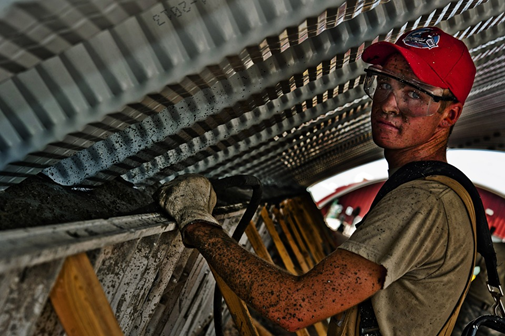 If your injury is preventing you from working any type of job whatsoever, you’re definitely eligible for a workers’ comp award of some sort and are an ideal candidate for attorney services. Even if you’re unable to work at your current job but still feel as though you could do some kind of work, you’re still probably eligible for compensation. Likewise, it would be wise to contact a workers’ comp attorney if you have any pre-existing health problems or disabilities that have been compounded or exacerbated by an at-wok injury. If you’re attempting to dispute a negative decision made by an employer or their insurance company, you may want to obtain advice from a lawyer before doing so. The same can be said if your goal is to dispute a decision made by your state’s division of workers’ compensation. In addition, if you want to dispute the amount you receive or revisit your case in order to apply for additional benefits, seeking the aid of a workers’ comp lawyer would be advisable. There are usually technicalities and legalities involved in requesting more benefits or processing an appeal, so this is one scenario in which it would be particularly advantageous to have the help of a competent workers’ comp lawyer. Unless you have experience representing yourself in court or are willing to put in countless hours of rigorous research to do so, it’s likely that you’ll greatly benefit from the help of a workers’ compensation lawyer. Many of these professionals will take cases on a pro-bono basis and typically the consultation is free and fast, so there’s really no logical reason to file your claim independently, especially when you consider how much easier and more effective it is to use a lawyer instead.